Hari om! 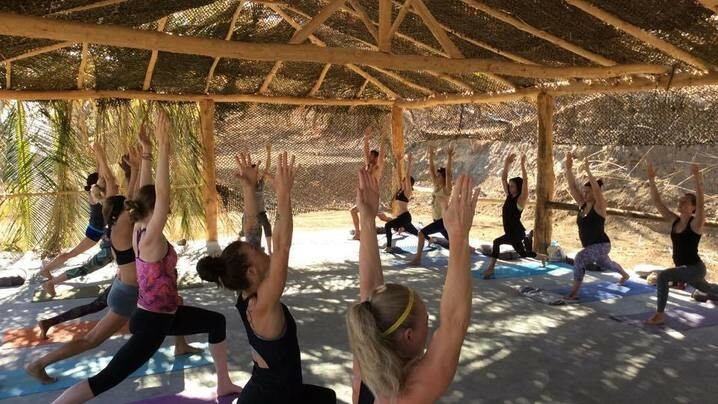 This retreat has been specifically designed to give you a break from the daily grind, detox your body from toxins and electronics, and to deepen your yoga practice. Join your top-tier yoga instructor, Benny James, in the quiet and beauty of the Cañafistula Valley in Costa Rica. In the midst of 4 of the most popular and beautiful beaches in the area, travelers can choose any aspect of the Costa Rican landscape to enjoy while here. 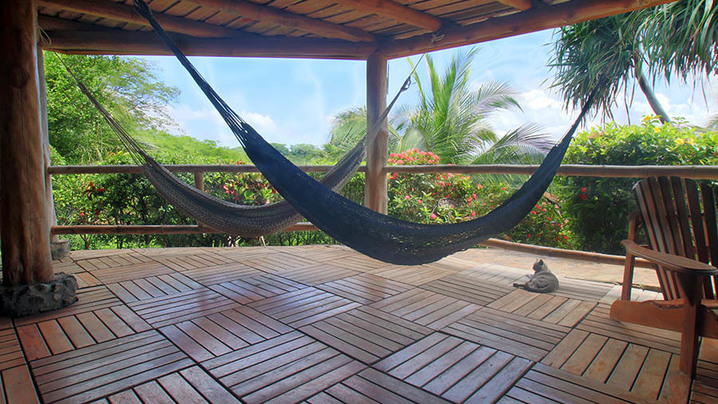 Two daily yoga with top-tier instructor in a studio nestled in the Cañafistula Valley, as well as breathing, meditation, and mantra every night. The mornings yoga class will consist of gentle Hatha yoga, pranayama (breathing), and meditation. The afternoon class will be a more vigorous class that will strengthen your practice and explore more advanced asana postures as well as partner yoga/Thai yoga massage. Benny James has been teaching yoga, dance, and fitness for over 10 years. He has both his 200 hour teacher training and 500 hour diploma in yogic studies from a small ashram in India where he studied a very traditional Hatha yoga tradition. He combines his traditional knowledge of yoga with his modern understanding of the body as a massage and health therapist, and also utilizes flowing movement to create a space to deepen into the body, mind, and spirit. Benny lives in Iowa working as a health designer in his wellness center that he runs with his fiancé Trenton Jones. Trenton Jones is a very gifted energy worker who is trained in many types of reiki and intuitive healing. Trenton uses healing touch, gemstone therapy, sound therapy, and aromatherapy in his sessions to help clients ground down, clear out old stuck energy, and shield themselves for all that life offers up. Trenton is a co-owner of Maha Mountain in Iowa with his fiancé Benny, and will be involved in various aspects of the retreat as well. In their free time, Benny and Trenton like to hike, camp, cook, practice yoga, go dancing, and be with friends. Together they create a unique healing atmosphere and specialize in creating beautiful life-changing retreats and journeys for others. Feel free to contact us with any questions (719)648-9373 or benny@mahamountain.com for more information. Join Benny's Tribe and stay up to date on their trip!